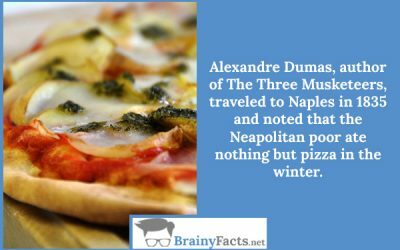 Delicious Facts about Pizza | Did you know ?! 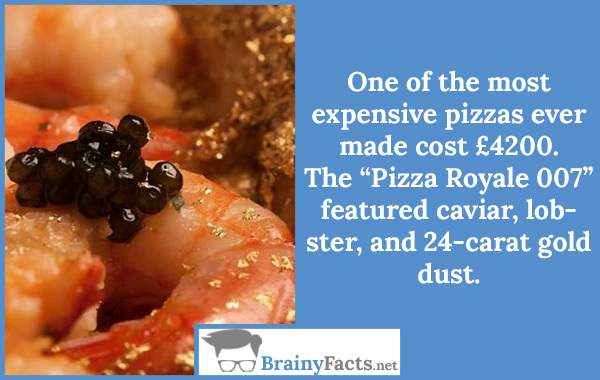 Since the early 1960s, the price of pizza has uncannily matched the price of a New York subway ride. 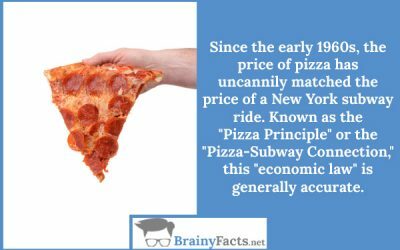 Known as the “Pizza Principle” or the “Pizza-Subway Connection,” this “economic law” is generally accurate. 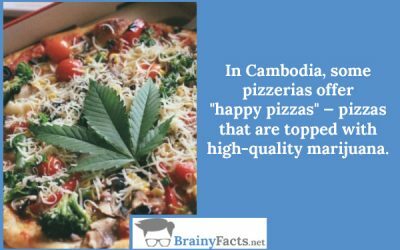 In Cambodia, some pizzerias offer “happy pizzas”—pizzas that are topped with high-quality marijuana. 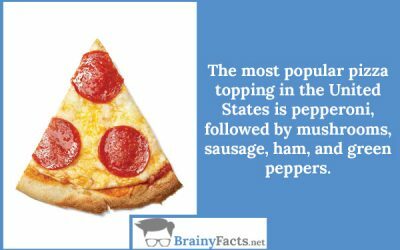 The most popular pizza topping in the United States is pepperoni, followed by mushrooms, sausage, ham, and green peppers. While pizza in some form has been baked since antiquity, the first “official” pizzeria opened in Naples around 1830. 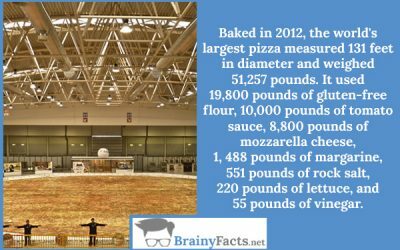 Pizza is the second-leading source of calories in the diet of American children, second behind grain desserts, such as cookies and other carb-heavy treats. 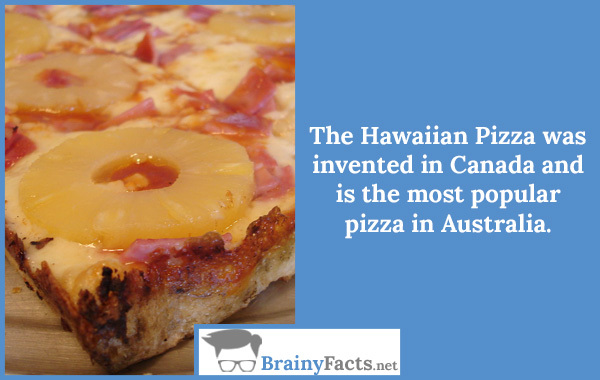 The Hawaiian Pizza was invented in Canada and is the most popular pizza in Australia.